measures to save a baby's life. She performs an emergency Caesarean section on its mother, who appears to have died in labor. But what if--as Sibyl's assistant later charges--the patient wasn't already dead, and it was Sibyl who inadvertently killed her? As recounted by Sibyl's precocious fourteen-year-old daughter, Connie, the ensuing trial bears the earmarks of a witch hunt except for the fact that all its participants are acting from the highest motives--and the defendant increasingly appears to be guilty. As Sibyl Danforth faces the antagonism of the law, the hostility of traditional doctors, and the accusations of her own conscience, Midwives engages, moves, and transfixes us as only the very best novels ever do. Chris Bohjalian, Bohjalian has written several novels, those titles include "Water Witches," "The Law of Similars" and "Past the Bleachers," which became a Hallmark Hall of Fame film. He also contributes to Reader's Digest, Boston Sunday Globe Magazine and the Burlington Free Press, where he's been a columnist since 1992. 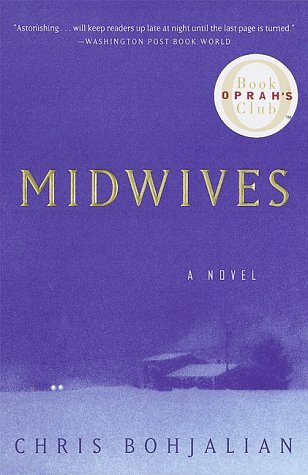 The novel "Midwives" focuses on the character Sibyl Danforth, who's a midwife that stands trial for manslaughter because of a woman's death during a home birth.